Mary Mary closes out Chicago Gospel Music Festival with a headlining concert The free admission Chicago Gospel Music Festival will take place June 21-24, 2012 at Millennium Park, the Chicago Cultural Center, and its new home – in Chicago’s beautiful Bronzeville neighborhood. It’s our 175 Days to Love Chicago pick for Sunday, June 24! 175 Days to Love Chicago: Bollywood Dance for All! Upbeat Bollywood music provides the soundtrack for an hour of hip shaking, shoulder shimmying fun at a Bollywood Dance for All, our 175 Days to Love Chicago pick for Wednesday, June 20. Jay Pritzker Pavilion in Millennium Park The Grant Park Chorus begins its 50th Anniversary celebration with two free admission performances of a world premiere work in Millennium Park. The program of classical music, An Exaltation of Place, presented by Grant Park Music Festival, is our 175 Days to Love Chicago pick for Friday, June 15. Mavis Staples closes out the Chicago Blues Festival with a Sunday night performance Celebrate straight-from-the-heart Chicago sound at the free admission Chicago Blues Festival in Grant Park, June 8 – 10. You’ll see and hear downtown Chicago transform into a musical mecca at our FREE 175 Days to Love Chicago pick for Saturday, June 9. Explore Chicago with a friendly, knowledgeable Chicago Greeter as your guide. 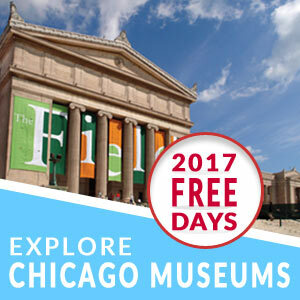 This free service, offered daily, is our 175 Days to Love Chicago pick for Monday, June 4!